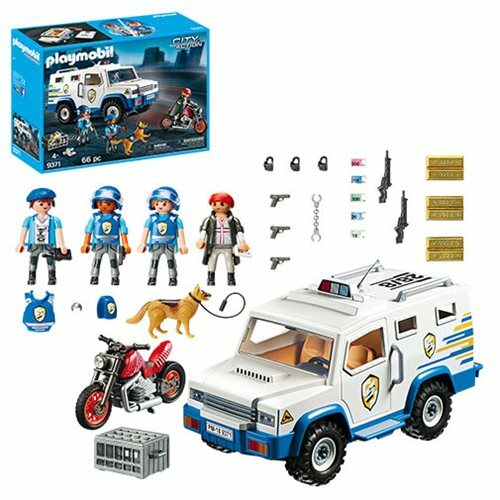 The Playmobil 9371 Police Money Transporter has a secret - one of the security professionals is in on the heist! His buddy rides a suspicious motorcycle, and this set includes 4 figures with a dog, money, handcuffs, guns, holsters, and even gold bars. Ages 4 and up.